Ivana Bozděchová, photo: Ondřej Tomšů “It was, as a matter of fact, the very first time I travelled abroad to the Western part of the world, for work, to stay there for a long time. “I was maybe one of the first Czechs who had such an opportunity, when I got a Fulbright scholarship. “In the end I stayed there for the two years – the second year I was at Stanford University in California. “And it was a completely different, in terms of the society, but also in the education system, in relations between teachers and students. “I should say at the same time that I had some experience with Americans. I taught them here in Prague. “But that’s different. You have them for two or three weeks. It’s summer. They are very excited to learn Czech, but they’re here in Prague – it’s their vacation. Is Nebraska a state with a relatively strong Czech heritage? “Yes, it is. As a matter of fact, that’s one of the reasons I was sent there. “I wasn’t the first person who taught Czech there. At that time it had already been there for several decades at university level – not only in Omaha, but also in Lincoln. “I’m not quite sure if it’s still the case nowadays, but there was a time when Nebraska was the number one state in the US with regard to number of Czech speakers per capita. “It’s the Czech capital of the United States. They have a small community and maintain traditions and festivals. “I met very many Americans of Czech ancestry, many of whom were second and third generation. I know you have also spent some time in Korea. Why in particular are Koreans learning Czech? “That’s a very different story from Americans. Many Americans really have a reason to study Czech – because of their grandparents or for linguistic reasons. “Koreans are very pragmatic. I was teaching at the only university in the Republic of Korea where Czech is taught, the Hankuk Univesity of Foreign Studies in Seoul. 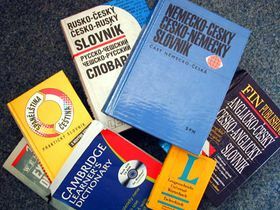 “There they teach about 45 foreign languages, including Czech. And it’s for business. “As you may know, there are many Korean companies here in the Czech Republic, in IT, cars, computers. “And they really care a lot about their people learning the language of the country where they send them. “It’s interesting, and people are very amazed, that there are about 150 students at the Czech department at this university. “I was very excited to learn about that. 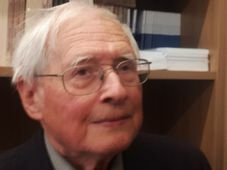 “But to be very realistic, after they finish their degree – it’s usually only a bachelor’s degree – only a very small number continue with Czech. When native English speakers learn Czech, what are the problems that they typically have in getting to grips with the language? “Well, several categories following the language system. “I would say that pronunciation usually isn’t that difficult. It might be rather an individual problem. “English speakers usually have problems with the endings of nouns and verbs. Of course, Czech declination and conjugation is a nightmare. If we could speak about the Czech language in general, not just about your teaching of Czech or foreigners learning it, do you have a sense that Czech has changed much since the fall of communism? “Any language changes constantly and usually languages change mainly in vocabulary. “The motivation for using or creating new words and expressions mainly comes from outside, from reality. “Needless to say, the huge social, political and cultural changes at the beginning of the 1990s became a very important source. “Simply, there were new communication needs, to express something that was not here before, relations and so on. “But I wouldn’t say it’s changing dramatically more than in any other periods of the development of the language. “Simply the symptoms are a little different. Concrete expressions react to different new communication needs at that time. “Of course, Czech like other modern languages – Slavic languages and others – accepts perhaps more and more expressions from English. “But that’s a general, universal phenomenon and we all know that in a time of globalisation we can’t avoid it. “So I wouldn’t make a close connection with the political changes. It’s simply the end of the 20th century and it has been happening in all other languages. There has been a trend of some Czech women who are married to foreigners not using the traditional -ová surname ending. There’s been quite a debate about it. What’s your view on this issue? Should all Czech women use -ová? “Yes, I think so. Czech surnames have such a huge advantage in that they distinguish between men and women. “And I think it’s a loss for Czech if we try to follow patterns which are not Czech. “It has nothing to do with anything else than the grammatical or linguistic part of the language. “I always find it [dropping the -ová] to be a fashion, something modern, something to show off. “It seems very simple to say we can all use what we want, it’s our priority. But it’s not. “Once I speak a language, I should follow the rules. In any language. “It has perhaps larger consequences than these women even realise. “Because once you cut -ová, the noun starts to behave grammatically as masculine. “So what should I say when I speak about her? Should I say ‘about him’? Is it ‘hers’ or ‘his’? And so on and so on. “As you know, in Czech it’s more complicated because in verbal adjectival endings we have to distinguish masculine and feminine. Last year the Czech government made a fresh attempt to promote the short, snappy name Czechia. It’s very divisive. Where do you stand on Czechia? “I can’t judge it, because I’m not a native English speaker. “I can understand that there are debates and there are many people who reject it, because they are used to other names of our country. “They are not linguists and they don’t know perhaps that it follows a pattern. Nobody has a problem with ‘Slovakia’, and so on. “It’s a tradition and they are used to different names. “There was a similar situation, as you may know, when we started to use in Czech the name Česko, instead of Česká Republika. “Very many Czechs opposed to Česko and till nowadays some of them perhaps still feel that, emotionally. “I believe it’s a question of time. We will get used to it and all these emotions will fade away, I hope.